Candling : identifying the blood ring. Problems in incubation : the blood ring. What is a blood ring, what does it look like in candling, why does it happen and is there anything that can prevent it? ***PLEASE BE AWARE*** of potentially upsetting content. 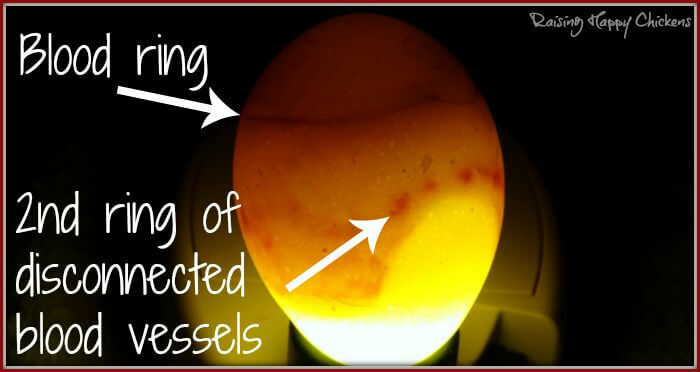 Blood rings during incubation are not uncommon. 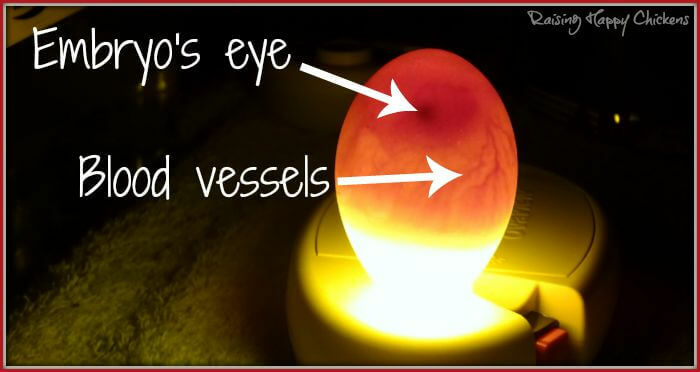 It's important to be able to spot them during candling, because if an egg with a blood ring is left inside the incubator it may well explode and spread bacteria through all the other eggs you're trying to hatch. For that reason it is important that you know what it looks like and why it's important to remove the egg. 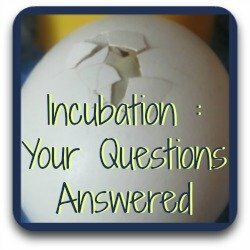 It's a part of incubating - not the most pleasant part, but it's something you will eventually come across if you choose to incubate your own eggs. If you have very young children, though, this may not be the article for them. There are images and a video of a blood ring from both the outside and the inside of the egg. It's your choice, of course. You know your children best. Just be aware. What is a blood ring? 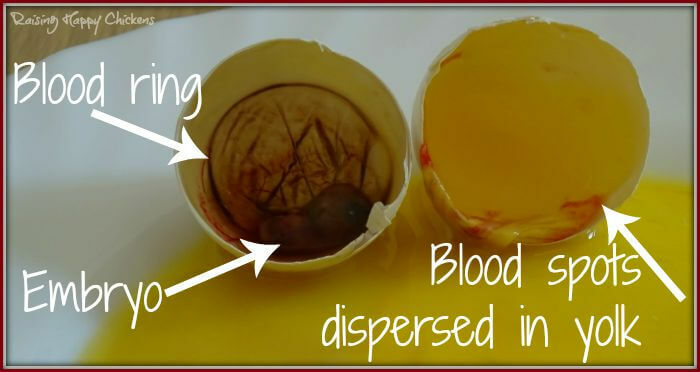 A blood ring occurs during the incubation of chicken eggs when the chick begins to develop but then dies. The blood vessels which had begun to form begin to decompose and, rather than remaining attached to the embryo, they float in the yolk and form a circle which spans the circumference of the egg. What does it look like in candling? It's quite a distinctive sight. When you candle an egg and it's developing normally, what you'll see is a system of blood vessels which spread evenly across the surface of the yolk and look, at least in its early stages, like a spider. This is a photo of one of my normally developing eggs at day 7 of incubation. You can clearly see how the blood vessels are evenly distributed across the egg in a kind of spider's web radiating out from the embryo at the top of the picture. When there's a blood ring, rather than this pattern you'll see a dark line running around the circumference of the egg. Below is a photograph of what it looks like when the blood ring has formed at around the same day of incubation - day 7. This was a bantam egg I was hatching. Note the saddle-shaped air cell - a result of the egg having been sent through the mail. It's not unheard of for an egg with a saddle-shaped cell to survive - I've hatched several - but it's more common for them not to develop past the early stages of incubation, as happened here. Here you can see the distinctive dark ring towards the top of the picture. If the egg had been left for longer, this would have become thicker as the blood vessels collected. Underneath you can see a series of dots - these are blood vessels which have disconnected from the embryo and not yet joined the upper ring. And in the picture below, taken from the opposite side of the egg, it's very easy to see the embryo with the blood ring attached on the right hand side of the image and the disconnected vessels at the bottom. Is the ring made of bacteria? There's a lot of information on the internet which says that's what it is but actually - no. The blood ring itself is just that - a ring of blood vessels. 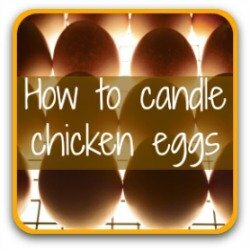 Of course, decomposing matter does produce bacteria but that's not what you can see when candling an egg. What you can see is the decomposing circulatory system, as you can see very clearly if you open the egg. What's happening inside the egg? The embryo has died and the blood vessels have separated from it. This is a photo of the same egg from the inside. 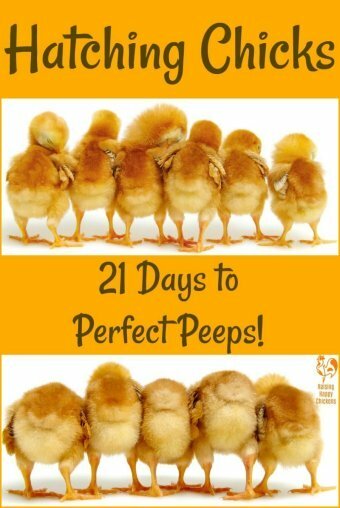 This chick has died at around day 7. The dark ring on the left is the blood ring we could see at the top of the picture of the candled egg above. On the left are the spots of blood which formed the broken chain we could see. The embryo has started to develop but stopped at about day 7. 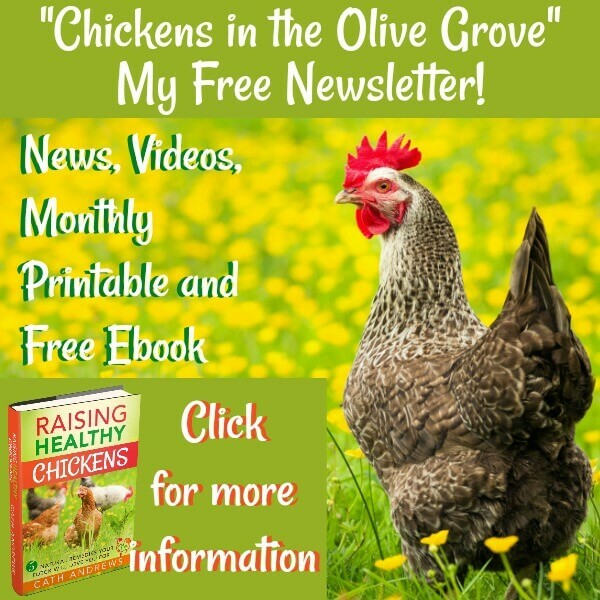 Why does a chicken embryo stop developing? 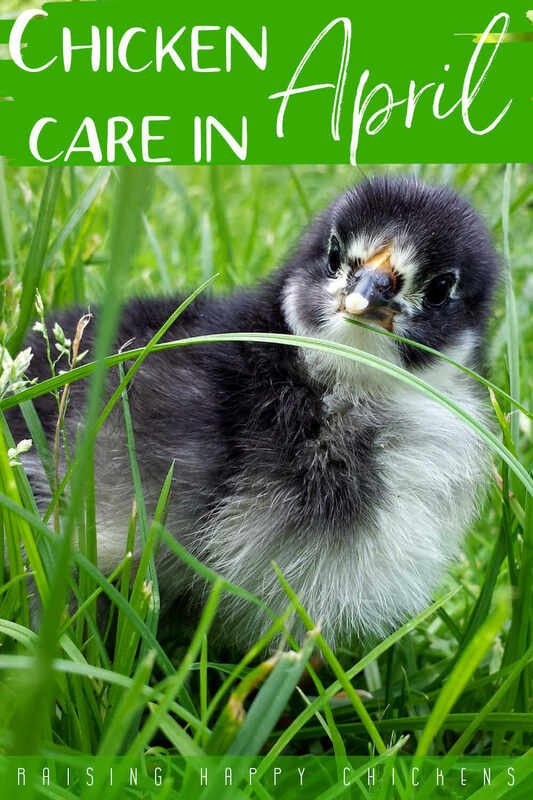 Bacterial infection : Can occur if the eggs are dirty when placed in the incubator, if the incubator itself is not properly clean or if bacteria is transmitted during manual turning or candling. 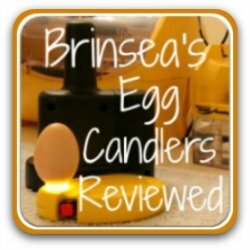 Always make sure your incubating equipment is spotless and that you wash your hands before every candling session. 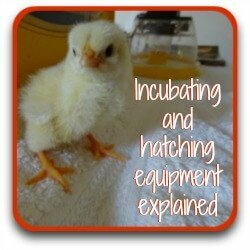 This page talks about how to choose and care for eggs before incubation. Shaking or vibration : A common cause of early embryo death, which is why it's important not to candle eggs too frequently. Nutritional deficiency : The lack of vitamins A and E particularly can result in early death. 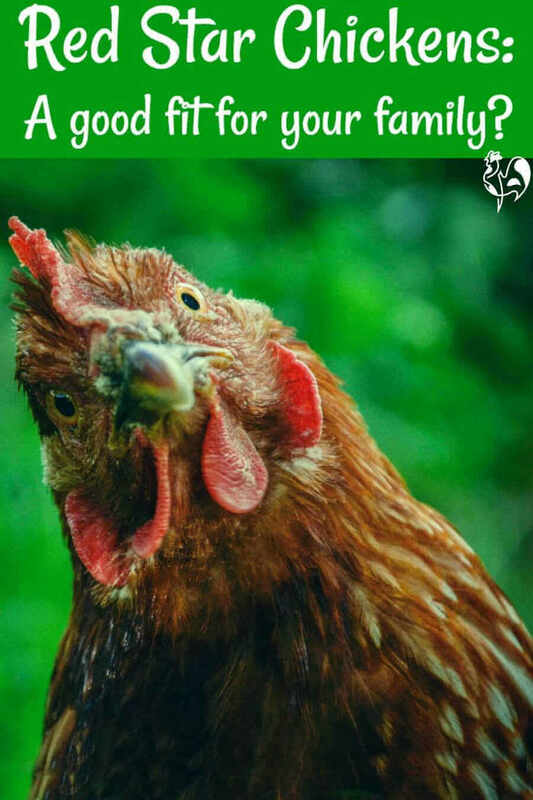 This relates to the breeding stock used, so if you're hatching from your own flock, make sure they have a good quality chicken feed to ensure the best success rates. 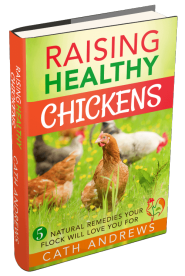 There's more information about what food chickens should eat at this link. 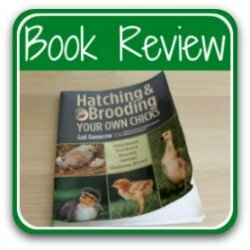 Problems with the embryo : It may simply be nature's way of not growing a chick which would be weak or in some way not properly developed. Again, ensuring the nutrition of the adult birds is the best way to make certain of a successful hatch. 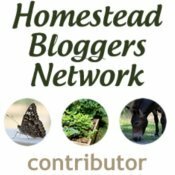 A video demonstration of a blood ring, externally and internally. This video might be upsetting for some. If you're at all squeamish please don't watch it and also be aware it may upset children. I'm showing it because it's important to know what this is. 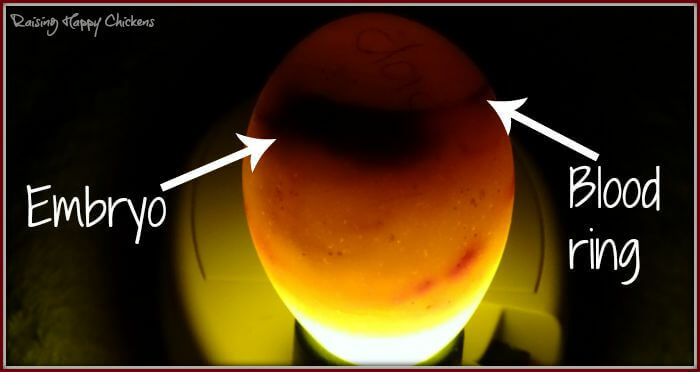 The video is of the same egg candled at day 8. It looks at the egg from the outside but I then open it up and we can see what's happened inside, including the dead embryo. It looks like it died at around day 7. It's not particularly gruesome as the embryo is still in a very early stage of development. It's very important to be able to identify eggs like this because, if they were left in the incubator, they would decompose and eventually there's a danger they would explode. 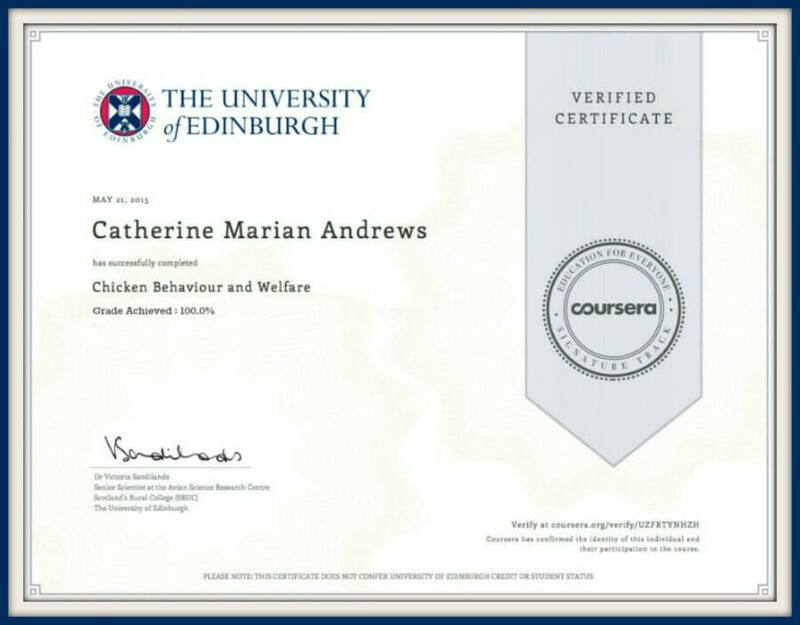 But again this is for instructive purposes particularly for those hatching who have not seen it before : if you think you would be upset, do not watch it! If you'd like to subscribe to my You Tube channel, which is where this video is hosted, click on this link. 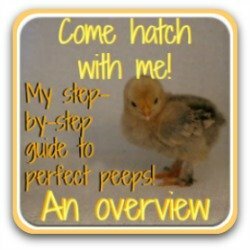 If you want to know more about incubation and candling, these pages may interest you. Just click the pic to go to that page.